NEW IBERIA, LA--(Marketwired - December 17, 2015) - Dr. 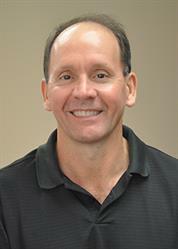 Buddy Donaldson, a leading New Iberia orthodontist, is working with Louisiana State University researchers to publish new findings about treatments for children's sleep disorders. Dr. Donaldson has found that sleep disorders in children can lead to inattention at school, poor social interactions and behavior problems. Serious problems like attention deficit/hyperactivity disorder and hyperactivity are common symptoms of children suffering from sleep disorders. Dr. Donaldson, who operates Donaldson 3D Orthodontics, said removing the tonsils and adenoids and improving the airway through rapid upper palate expansion can eliminate children's sleep issues. "One of our biggest concerns with sleep disorders in children is the affect it has on their education and social life," Dr. Donaldson said. "By addressing the problems that often create airway obstruction and sleep disorders, we can help our children pay better attention in school and live healthier lives." Dr. Donaldson's treatment for children's sleep disorder focuses on opening the airway. Using cone beam 3-D imaging, Dr. Donaldson can diagnosis and plan out treatment for patients struggling with an obstructed airway and begin to resolve sleep problems. Patients often report a reduction in headaches and fewer problems with allergies after Dr. Donaldson's treatment. "We are excited about the findings, and we're working with researchers at LSU to have this breakthrough published," Dr. Donaldson said. "Great orthodontics is about much more than beautiful, straight teeth. We can make you look great and improve your overall health." Dr. Donaldson, known as Dr. Buddy to his patients, uses 3-D images and cone beam computed tomography to diagnose and treat bite and alignments issues, TMJ and facial pain problems and sleep apnea. In addition to resolving children's sleep issues, he offers sleep apnea treatment and snoring appliances for both men and women. Dr. Donaldson earned his dental degree from the Louisiana State University School of Dentistry in 1980 and then completed a speciality program in pediatric dentistry in 1982. He practiced for eight years before starting a specialty program in orthodontics in 1992. In 1995, he completed advanced Orthodontic courses at Roth Williams Center for Functional Occlusion. Dr. Donaldson is a diplomate of the American Board of Orthodontics and holds memberships with the American Association of Orthodontics, Louisiana Dental Association and Acadiana District Dental Association. He also served as the president of the Louisiana Association of Orthodontics in 2012-2013. Dr. Donaldson has received several recognitions for his dental creations. He is the only Louisiana orthodontist to have had four of his patients featured on the cover of the American Journal of Orthodontics, and he is the only Louisiana orthodontist to show five of his American Board of Orthodontics cases at the American Association of Orthodontics meeting. To learn about Dr. Donaldson's orthodontic care, visit his website at www.donaldsonortho.com or call 337-465-4139.